Ice Age is set at the dawn of the Ice Age. 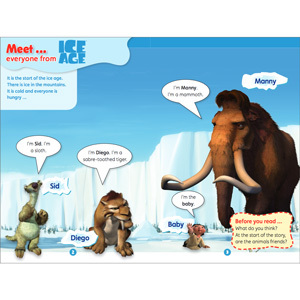 Manny, a wooly mammoth, Side, an amusing sloth, and Diego, a hungry sabre-toothed tiger, team up to save a human baby. 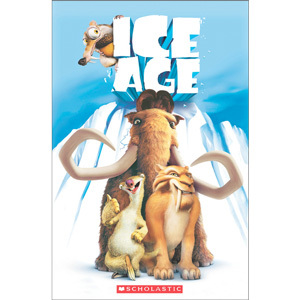 As they journey to cross the ice to return the child to its father, Manny, Sid and Diego face many adventures together and become unlikely but firm friends. 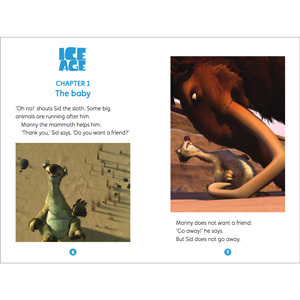 Ice Age is a level 1 (Early Beginner) title from Scholastic’s Popcorn ELT Readers. This series of low-level, graded readers features titles based on popular films, TV series, and classic children’s literature. Aimed at pupils in the early stages of learning English as an Additional language, Popcorn ELT Readers are available at three levels: Early Beginner, Mid Beginner and High Beginner. This book comes with access to FREE online teachers’ notes, full of practical suggestions and tips to help you get the most out of the book.